Enter the world of the legend of design! The Modern Line pouf was designed in 1949 by Swedish-born architect Greta Magnusson Grossman. Greta Magnusson Grossman left Stockholm in1930 to settle on the west coast of America. 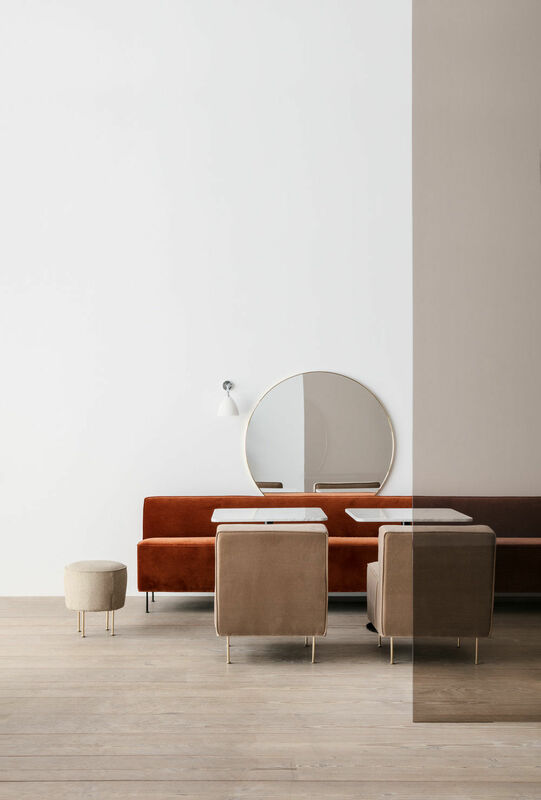 She introduced Californians to the unique style of Danish modernism, whose commander-in-chief is Arne Jacobsen. 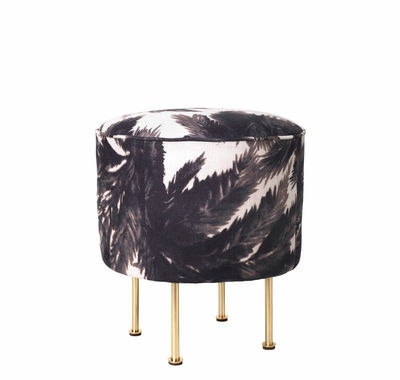 This Modern Line pouf upholstered in a beautiful 100% linen fabric has a sophisticated, bohemian spirit. The palm tree-shaped patterns invite dreams of escape. The elegant, slim brass base adds a touch of grace and refinement, which characterises Grossman’s work. This pouf will bring a touch of irresistible retro glamour to a living room, entrance, bedroom or dressing room. The Modern Line pouf comes in other colourways, bases and finishes. For more information please ask our personal adviser.